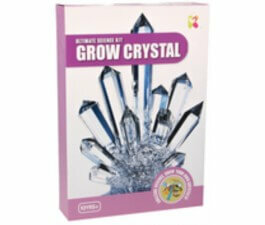 Set up your lab for experimenting with the bags of chemicals, goggles, magnifying glass and other accessories. 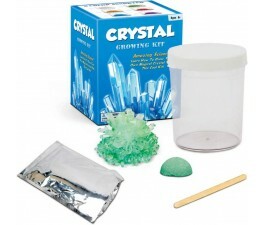 Crystal Growing is an educational toy cover a wide range of subjects and include science kits, arts and crafts kits, robotics kits, and more. Each toy is creative, imaginative, inspiring--and most of all, fun! They encourage your child's inquisitive nature while teaching them to explore the world around them. 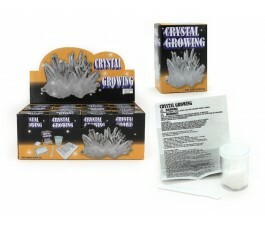 Watch your own crystals grow before your eyes with this fun and educational Crystal Growing Kit available at Mr Toys.